I’m addicted to smoothies for breakfasts in summers and love to have an array of fruits ready at home which allows me try different flavour combinations! I do not like bananas much! However this time around I had a change of heart and added a frozen banana. It lends a creamy texture and the strawberries masked the banana flavour for me. I cannot stress enough how good strawberries are for us. It is loaded with essential nutrients and contain antioxidants which shields the immune system from many diseases. It also lowers the risk of diabetes, strokes and cancer. Is this the reason I eat them ? Not completely, I love them! The shiny and lovely red brightening many fruit bowls and just plain regular oatmeal. 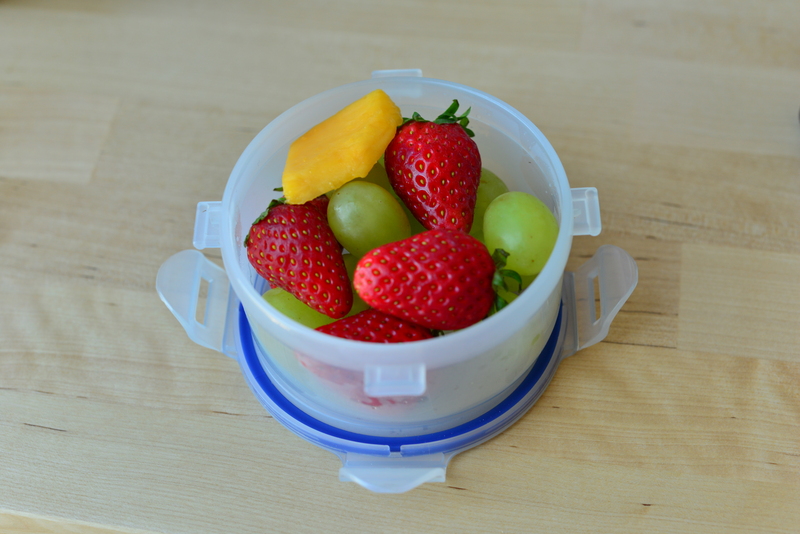 If I skip smoothies, I pack myself an box of fruits and granola bar. It make breakfast more exciting while at work! Boxes of strawberries lined up neatly on supermarket shelves remind me of my summer trips to Mahabaleshwar. It is a small hill station some 300 odd kilometres away from Mumbai. A few kilometres away is Panchgani where Mapro is located. They have berry farms and as I kid, I recollect going there and having the fresh strawberries and later having them served with vanilla icecream. They also had a strawberry cream which was a hit with my family! Blend all the ingredients together and serve them immediately! You could add honey or agave syrup if you want the smoothie to be on a sweeter side. My husband does not believe that I used to give my mum a really hard time having fruits as a kid. I used to hate every fruit, with strawberries and mangoes being an exception. As a teen, I took a liking to oranges, sweet limes and kiwis mainly because my friends at college were obsessed with orange juice with chilly cheese toast to be had on an almost daily basis post our tuitions. I gave in due to peer pressure and my mum could not thank my friends enough. Fast forward to last 6-7 years and I love fruits. In fact I look forward to having smoothies, fruit juices with breakfast and fruit based sorbets and frozen fruit yoghurts as desserts. A transformation of sorts! 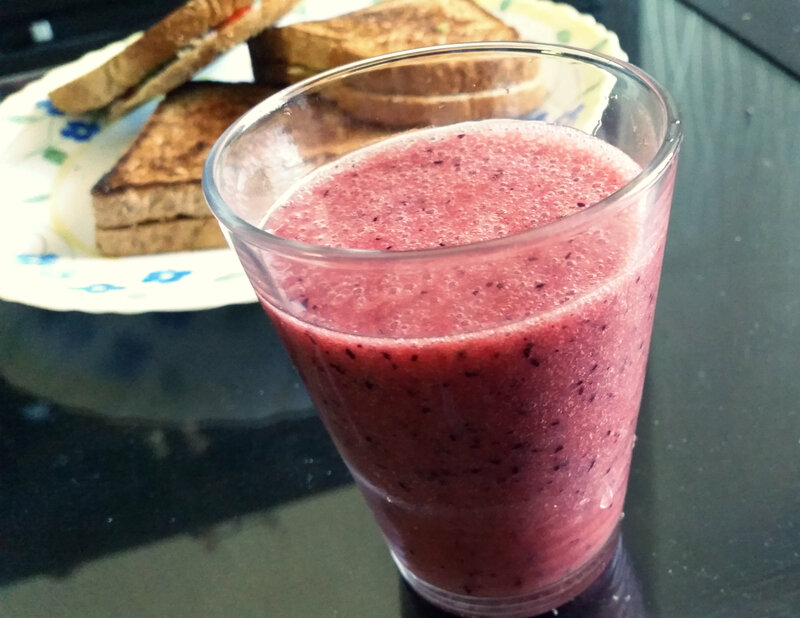 With Dubai summers having dawned on us, smoothies are a staple breakfast accompaniment these days. 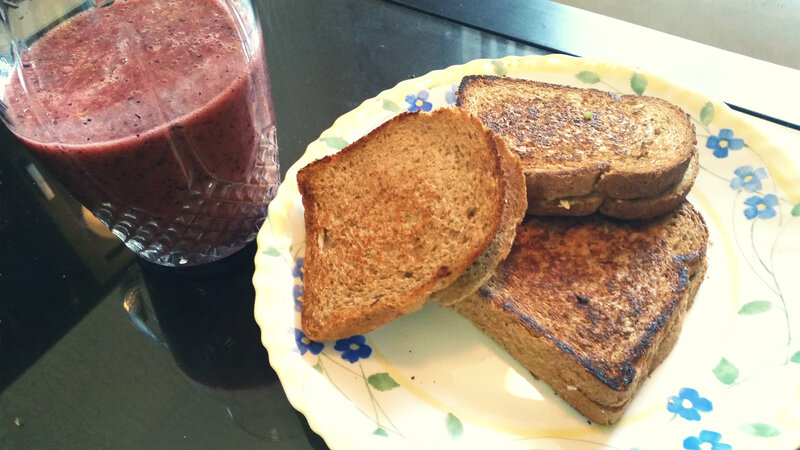 Last weekend I was quite nostalgic about my college days back in Mumbai and as an ode to the chilly cheese toast and juice days, I made the same for breakfast. Sahil loved the smoothie. 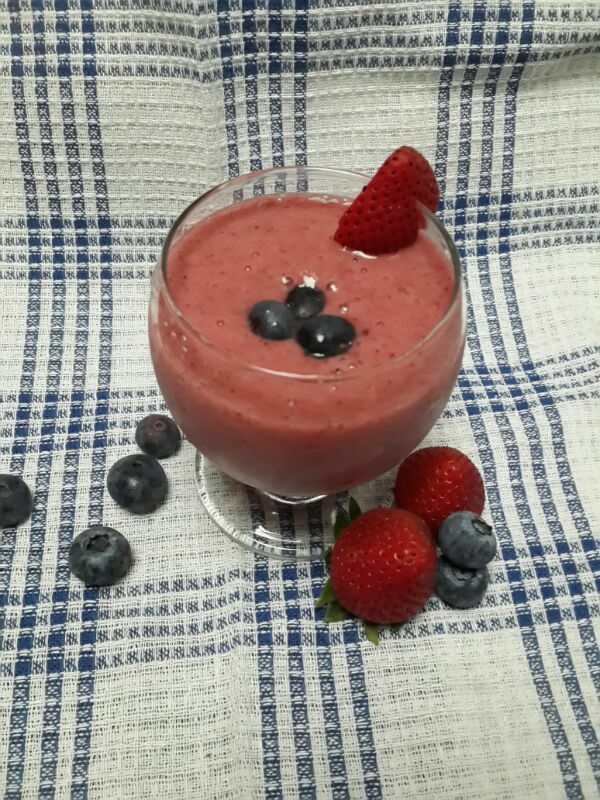 I used bottled Lacanor mixed fruit juice since I was not keen on yoghurt based smoothie that day. 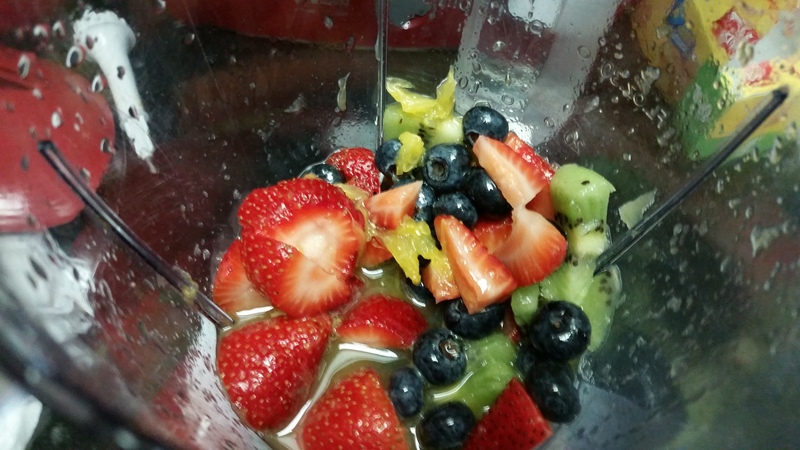 Below is the recipe for the smoothie loaded with the goodness of antioxidants and all essential vitamin C and E. This is low in fat and offer high fiber and mineral content. 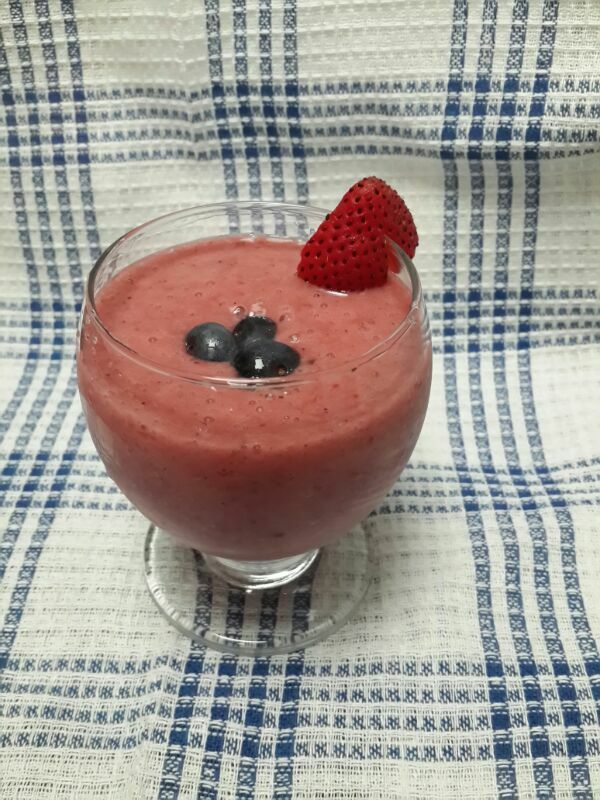 In a blender, add all the fruits, juice and seed powder and mix well. At my place, I usually powder flax seeds and super seeds in a spice grinder and keep it in an airtight jar. I use this mixture in smoothies, muesli, granola parfaits, cookie and cake mixtures. Flaxseeds and other super seeds are great source of getting iron, fiber, folic acid, Omega 3 fatty acids and Vitamin B. I do not support taking supplements, I much prefer getting these essential nutrients by natural sources. I skipped the honey this time since the berries were sweet enough for our liking. Disclaimer : This is not a paid post. I have not collaborated with Zespri or Lacanor brands in specific. I prefer them over others and hence the mention.